Since cutting gluten and dairy from my diet over 4 years ago, food and food experiences have taken on a new meaning for me. Most of the time I try to eat things that are naturally gluten and dairy free, but sometimes I miss something like pretzels or bread; Delicious and flavorful sweet breads and things like gluten-free dairy-free banana raspberry muffins. And while those are amazing, sometimes we need to change it up to keep our tastebuds happy, which brings us to this gluten-free dairy-free raspberry blueberry bread loaf. This is a tasty loaf made with gluten-free flour and almond milk among other things and topped with a sugary, lemony glaze. It’s a great breakfast bread (or muffins), or even for a snack or dessert. If you’ve been missing breads since you’ve cut gluten from your life, you will want to give this a try. 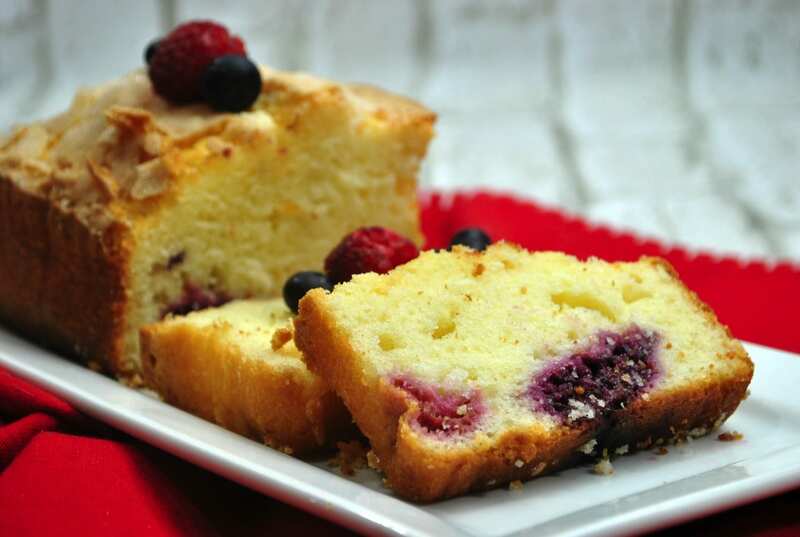 Along with the gluten-free flour and almond milk, you will also need coconut oil, granulated sugar, lemon zest, room temperature eggs, double-acting baking powder, sat, blueberries and raspberries. Preheat the oven to 350 degrees. Line a 9″ x 5″ glass loaf pan with parchment paper Set aside. Zest the lemon Set aside. 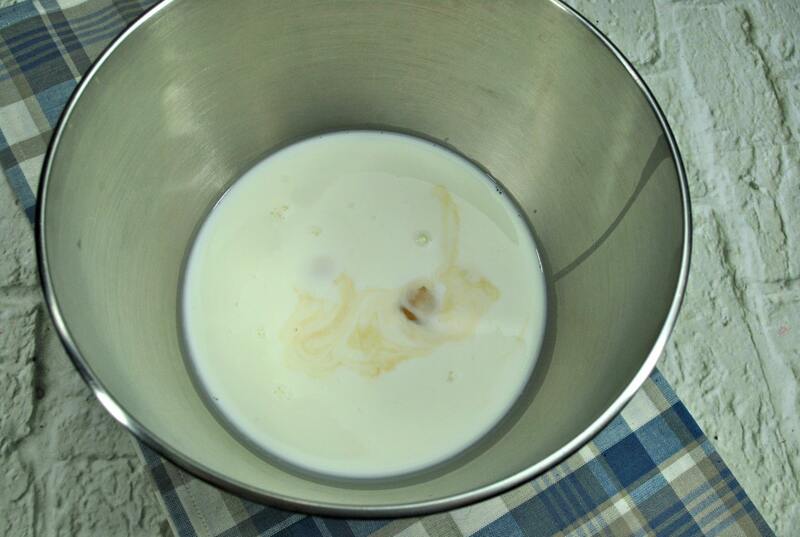 Cream together the coconut oil, sugar, and lemon zest in the bowl of a stand mixer fitted with a paddle attachment. Add in the eggs one at a time and mix until the mixture is smooth. Add in the almond milk, stir to combine. Add in the flour, baking powder, and salt. Mix on low speed just until the dry ingredients are combined. 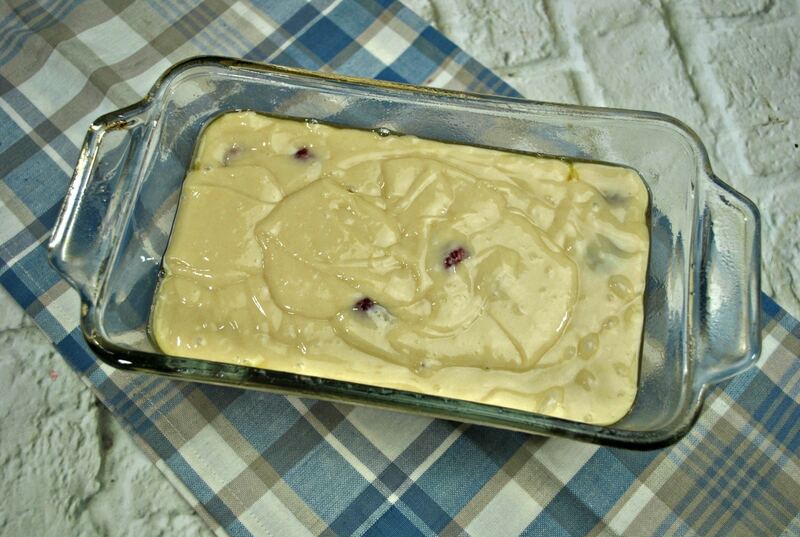 Fold the berries into the batter gently. Pour the batter into the prepared loaf pan. Bake on the middle rack of the oven for 60-65 minutes. Allow the loaf to cool for 30 minutes, then transfer to a cooling rack. Cool completely. Stir together the powdered sugar and 3 teaspoons of freshly squeezed lemon juice until a smooth glaze forms. Pour the glaze over the top of the loaf. And, enjoy your delicious breakfast or snack before somebody else comes and tries to take some from you. 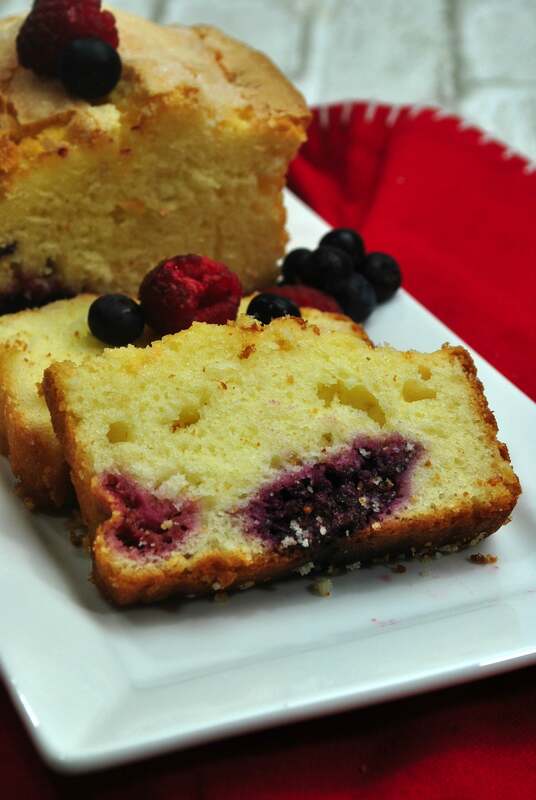 A delicious and tasty gluten free bread loaded with raspberries and blueberries and topped with a sweet lemony glaze. Line a 9″ x 5″ glass loaf pan with parchment paper. Set aside. Zest the lemon. Set aside. Cream together the coconut oil, sugar, and lemon zest in the bowl of a stand mixer fitted with a paddle attachment. Add in the eggs one at a time and mix until the mixture is smooth. Add in the almond milk, stir to combine. Add in the flour, baking powder, and salt. Mix on low speed just until the dry ingredients are combined. 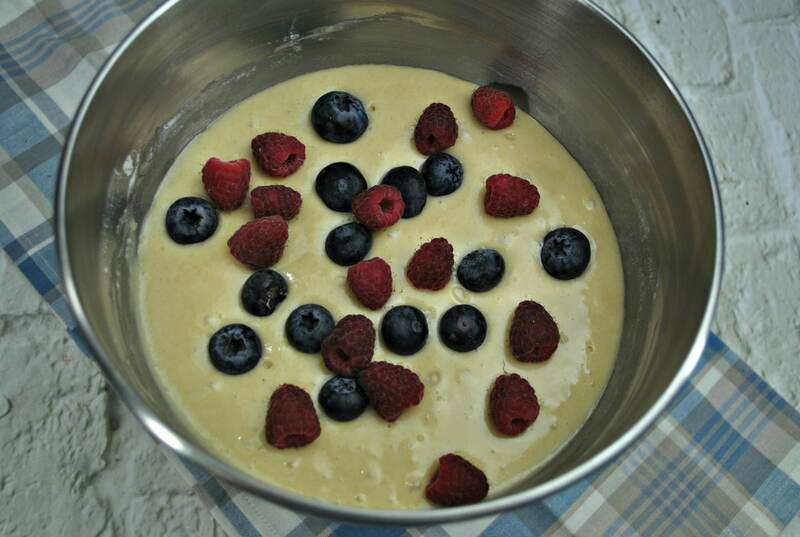 Fold the berries into the batter gently. Bake on the middle rack of the oven for 60-65 minutes. Allow the loaf to cool for 30 minutes, then transfer to a cooling rack. Cool completely. MMmmmmm I love berries anything. And a wonderful GF treat for Mother’s Day! This looks amazing. Blueberries, raspberries and lemon. All my favorites.